As we discussed in Part 1 of this guide, martech enablement is ultimately about obtaining insights and providing tools and processes to take action to affect your marketing efforts in your marketing organization. In Part 6, we discussed “building the car” with a focus on breaking down the systems in your martech stack that allow you to take action. In this article, we will explore the systems that provide insights and enable team collaboration. We’ll also look at tying them all together with integration approaches, tools and strategies. Once again, a shout-out to Scott Brinker for producing the “Marketing Technology Landscape” to help make sense of all the martech products available. When you’re driving your car, a number of tools inform you how to take action. Looking out your windshield, windows and mirrors gives you immediate data that you respond to. Additionally, you have tools like your instrument dashboard, GPS, traffic data, your radio, and even your passengers. 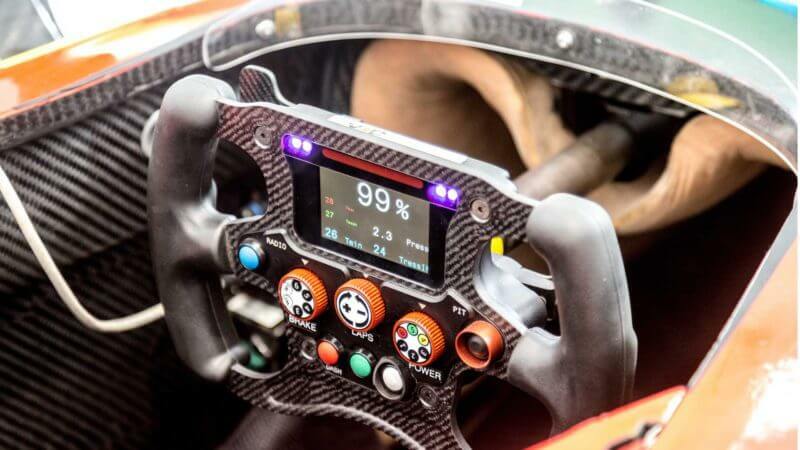 Race drivers and the team as a whole have sophisticated systems in and around the car that are collecting information, as well as experts to analyze the information in real time, providing actionable insights that the team can use before, during and after the race. This is a huge part of the team’s competitive advantage that they use to win races. Part of the martech enablement process is to leverage the data within your martech stack so that experts within your team can analyze that information to provide actionable insights, so your marketing organization can win your race. To reiterate a point made in Part 6 of this guide, a solid data strategy is one of the most important components of martech enablement. This provides the foundation for extracting and “mashing” this data in a way that you can measure. A sound approach is to understand your organization’s KPIs (key performance indicators) and craft a data strategy that supports collecting data to enable measurement of those KPIs. As you progress through the martech enablement process, your “insights” toolset will grow in both size and maturity. I want to remind you to stay focused on letting this part of your stack evolve from the incremental team objectives and series and race goals. Don’t lead with a goal of creating a cool BI environment or dashboard. Let these grow out of the goals driving the martech enablement process. I want to spend a minute discussing the difference between strategic and tactical insights and their alignment with your team, series and race objectives. For a refresher on these, see Part 5 of this guide. When measuring and analyzing performance against your team and series goals, you’re looking at strategic insights where understanding the current level and performance trend is desirable. Think in terms of tools that show you the results of your marketing efforts across time. A tactical insight will generally be more closely aligned with your race goals and will be a singular value or KPI. Relating this to our race team analogy, a strategic goal could be wanting to improve the team’s average finish position from the current state to some future targeted goal. Over time, you could measure and graph the improvement and trend toward that goal. A tactical goal might be the desire to come in third place or better in a particular race. Your insight tool could represent that number as a single KPI. That isn’t to say that you may never analyze performance trends during a race, such as average lap speed. But there are values that benefit from analyzing as a trend and others that are just fine to analyze as a current and ending value. It’s important to have a strategy and tools to hold all of this together. There are a few strategies to contemplate with systems integration and martech. Your marketing organization will likely take several different approaches to integration. These are generally broken down into three categories: native integration, IPaaS (integration platform as a service) and custom integration. As technology matures, and the interoperability of products grows, companies are building “connectors” that allow for the exchange of data between their products and other widely used ones. These native integrations generally require some technical implementation or configuration, but the product manufacturers have done much of the heavy lifting to allow for the exchange of data between systems they have connectors for. IPaaS is a “suite of cloud services enabling development, execution and governance of integration flows connecting any combination of on-premises and cloud-based processes, services, applications and data within individual or across multiple organizations,” according to Gartner. These platforms enable a more systematic way of creating and controlling data exchanges between products in your martech stack. Custom development is as it sounds: a process in which software engineers develop custom applications to create and manage data exchanges between products and systems in your martech stack. Regardless of whether you take advantage of the aforementioned native integrations or IPaaS, you will likely at some level need to leverage good technologists to do some custom integration work along your path to martech enablement. Now that we’ve gone through the people, the strategy and the stack, we can move on to the execution part of martech enablement. In Part 8 of the guide, we’ll get into how your team iteratively and incrementally moves your marketing organization toward digital transformation and maturity. I look forward to continuing to share with you about martech enablement in Part 8 of this guide. Some opinions expressed in this article may be those of a guest author and not necessarily MarTech Today. Staff authors are listed here. Facebook Inc is working on automatically flagging offensive material in live video streams, building on a growing effort to use artificial intelligence to monitor content, said Joaquin Candela, the company’s director of applied machine learning. Chief Executive Officer Mark Zuckerberg in November said Facebook would turn to automation as part of a plan to identify fake news. Ahead of the November 8 US election, Facebook users saw fake news reports erroneously alleging that Pope Francis endorsed Donald Trump and that a federal agent who had been investigating Democratic candidate Hillary Clinton was found dead. Alphabet’s Google announced the formation of an artificial intelligence group for Google Cloud, the tech company’s latest gambit to increase its market share in the lucrative cloud computing business. Diane Greene, who leads Google’s cloud business, announced the team at an event at the company’s facilities in San Francisco. The group will be led by Fei-Fei Li, an artificial intelligence professor at Stanford University, and researcher Jia Li. “What really attracted these two people to come and be in Google Cloud is a chance to democratize machine learning and artificial intelligence,” Greene said. In the meanwhile, Google delivered a vote of confidence in London’s future as a technological hub after the Brexit vote on Tuesday by announcing plans for a new building in the King’s Cross area of the city that will house thousands of extra engineers. Google’s Chief Executive Sundar Pichai said computer science had a great future in Britain, citing the talent pool, educational institutions, and passion for innovation present in the country. “That’s why we are investing in London in both engineering talent and infrastructure,” he said. The 10-storey building, Google’s first wholly owned and designed outside the United States, will increase its presence in King’s Cross to more than 1 million square feet, enough for more than 7,000 employees in total, the company said. 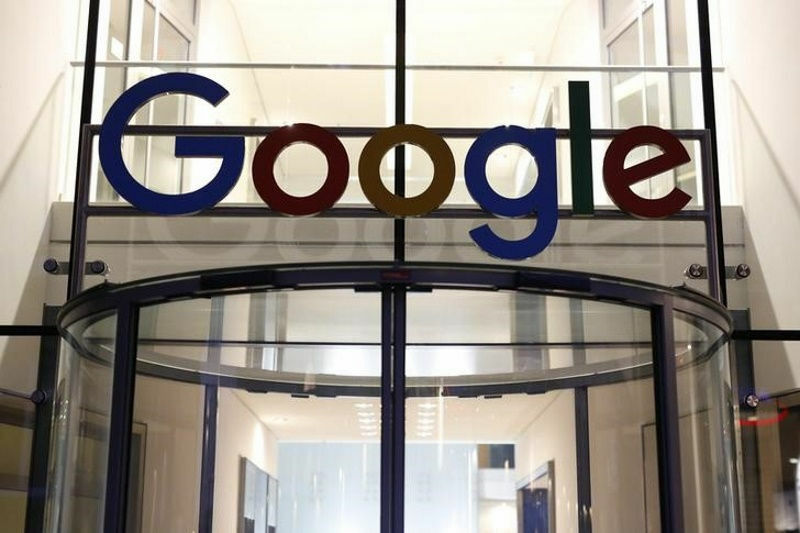 Google has 5,700 employees and contractors in the UK, including about 2,000 engineers housed in the recently opened building in King’s Cross where Pichai announced the expansion. Magic Pony’s team will be joining Twitter Cortex. Magic Pony includes scientists with expertise in machine learning. Twitter said Monday it was acquiring British-based artificial intelligence startup Magic Pony to bolster its capacity for analysis of visual content. Magic Pony’s technology, based on research to create algorithms that can understand the features of imagery “will be used to enhance our strength in live and video and opens up a whole lot of exciting creative possibilities forTwitter,” said Twitter co-founder and chief executive Jack Dorsey in a blog post. 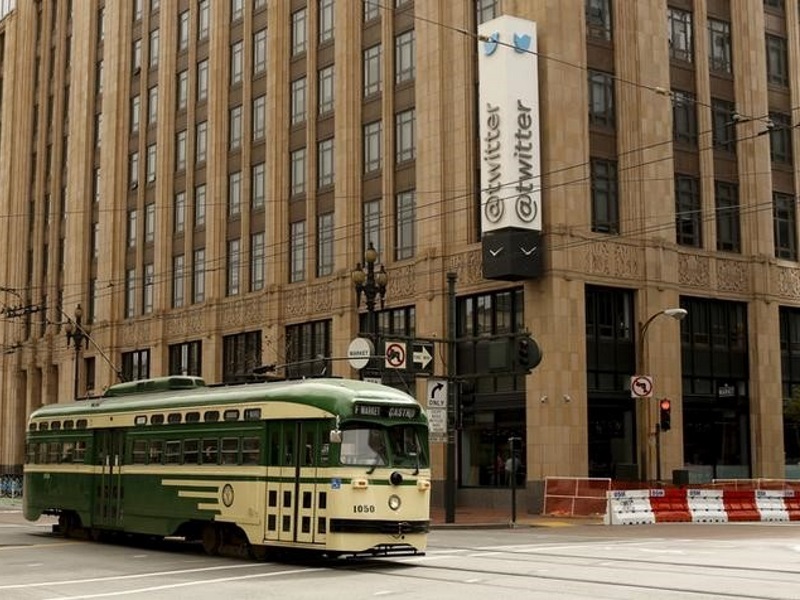 The move comes with Twitter struggling to grow its user base and achieve profitability amid disappointment in the platform after a long-awaited 2013 initial public offering. Magic Pony team includes scientists with expertise across computer vision, machine learning, high-performance computing, and computational neuroscience. Bishop will be based out of Twitter’s headquarters in San Francisco, and co-founder Zehan Wang and the other members will join Twitter’s London office, according to a statement. Magic Pony’s team will be joining Twitter Cortex, a team of engineers, data scientists, and machine learning researchers. Twitter’s other machine learning acquisitions include Madbits in July 2014 and Whetlab in June 2015.